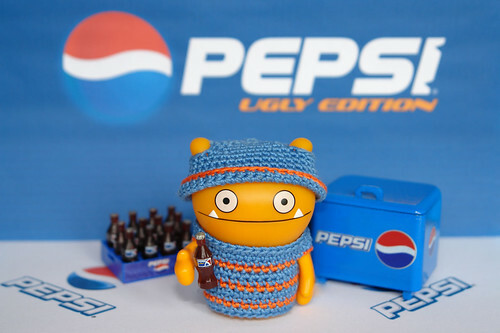 Uglyworld #597 - Ugly Edition Pepsi (160-365), originally uploaded by www.bazpics.com. It turns out that while I was away working in America the last 3 weeks Wage had been contacted by a well-known soft drink manufacturer to ask if he would do some acting work for their up and coming round of advertisements to be seen around the world. Last night Wage broke the news to the whole gang and today we went off to a local studio where the advert was being filmed/shot, they allowed me to shoot a couple of pics as the mornings hectic program of filming and photography progressed to be able to share with you guys. As we left the studio a little while ago I asked Wage what he was getting paid for the job, to which he replied, "No monies, but I gets all the drinks I wants". Maybe it's time I became Wage's agent so that he can make the most of these opportunities when they crop up!